Massanutten mountain rises from the heart of the Shenandoah valley about twenty minutes east of Harrisonburg. Visible to the east is the Blue Ridge and to the west the Alleghanies and the West Virginia border. The fifty-mile feature, more a long fold than a mountain, stands prominently on its own, a geologically significant series of north running ridgelines and valleys. 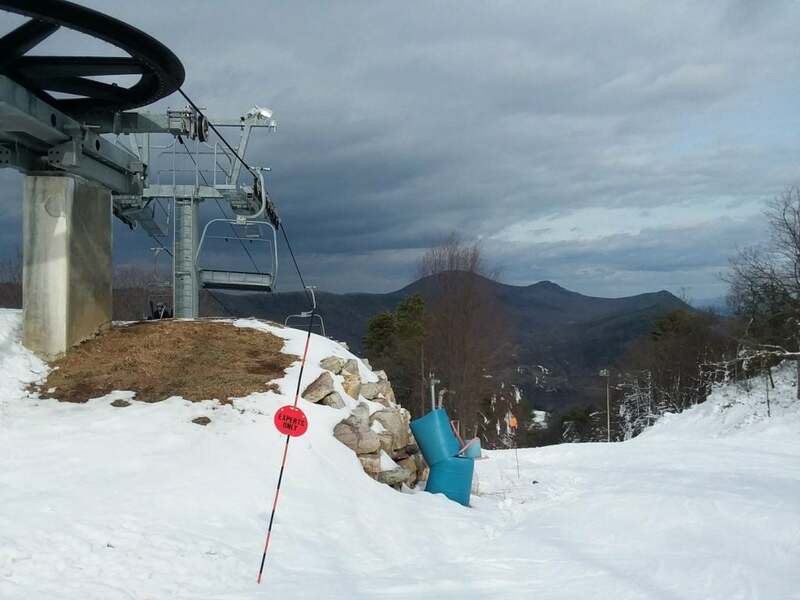 The name Massanutten, probably comes from a native American word and at the southern end of this massive “basket” with its own weather and topography lies the Massanutten ski area. 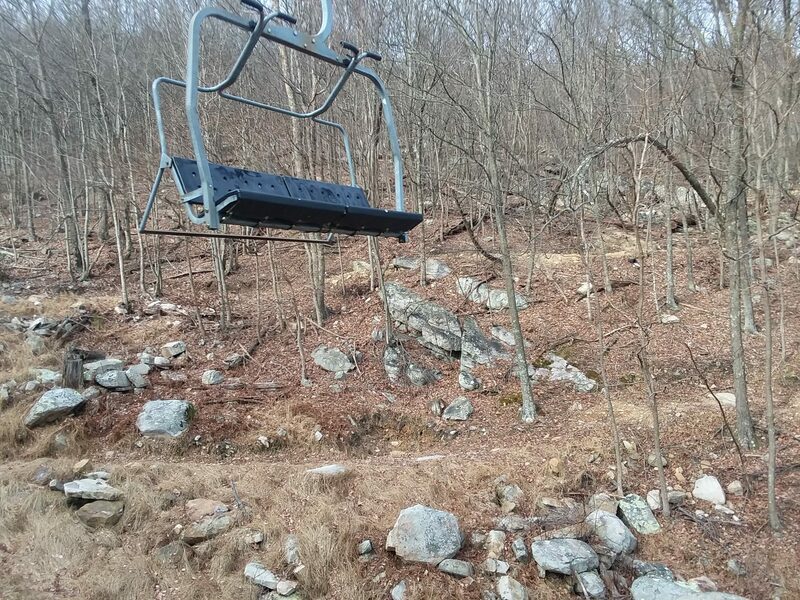 The Geology of Massanutten Mountain from Greg Willis on Vimeo. Massanutten has a long history, to begin with not associated with skiing but rather with the mineral spring craze that gripped the nation at the end of the 1800s. Restorative waters are still an operative phrase. 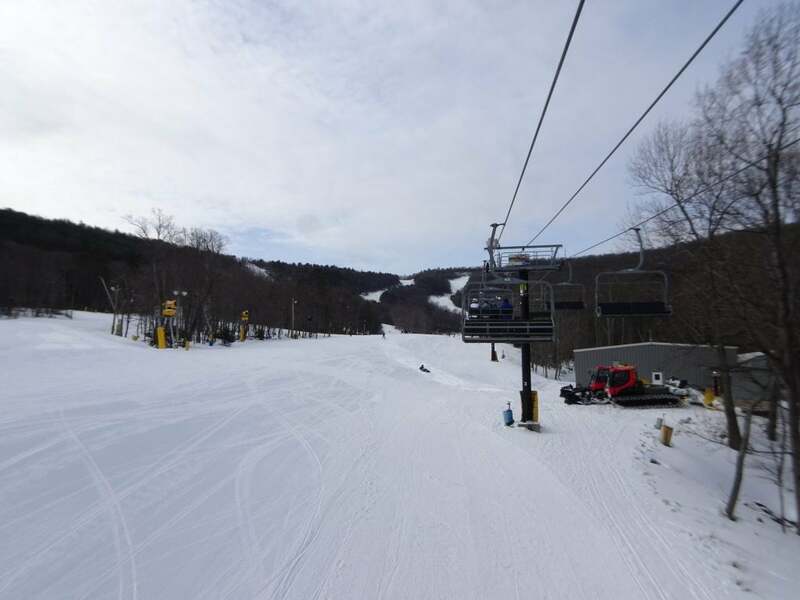 Especially since 2017, when a 7 million gallon holding pond was completed, assuring that Massanutten can restore snow to its slopes whenever temperatures allow; a ready supply for some of the best snowmaking in the region. I would also note that Massanutten in my experience turns down its blowers during weekend operating hours once their base is solidly built. This might be because of their homeowners and passholders who have strong feelings about the quality of their experience; trust me, I got an earful when I queried about the possibility of replacing one of the upper lifts with a high speed; blasphemy! Opinions and loyalty to Massanutten run very deep; and that commitment is one of the best things any mountain can have; quality is assured. 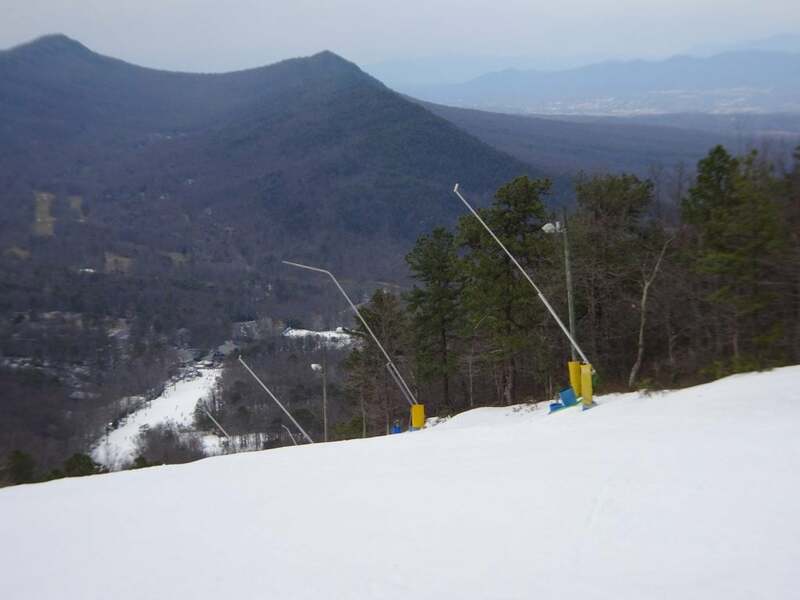 I have only skied at Massanutten three times previously. It is more than four hours from central North Carolina which makes it more than a day trip for me. 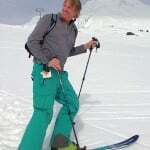 My hard-fast rule of day tripping is: equal or greater time skiing than driving. So previous trips to Massanutten have been partial days often coming or going. 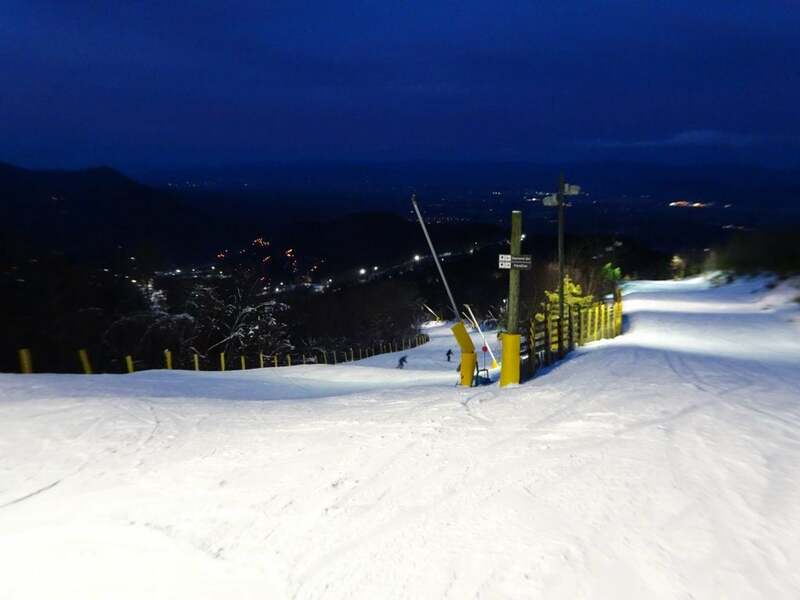 This time I changed my plan, to enjoy skiing into the night by staying in Harrisonburg. While readers in Virginia, or DC may know the goods when Massanutten is open to the top, I think many people south of the VA line do not know what they are missing. 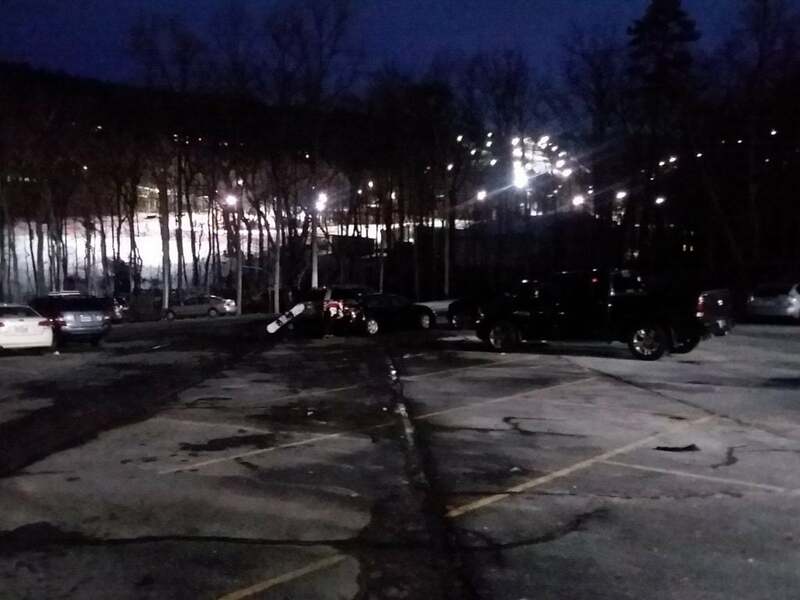 The lights are on, night skiing is starting, why would you leave? Saturday night, January 26, I was in Harrisonburg and staying 20 minutes from the lifts. Sunday morning, January 27, as I checked conditions on SkiSoutheast, Massanutten reported being 100 percent open, the only resort in the region to reach that mark that day. So, I went and I skied, and skied and skied, and then came the time to go home and I simply could not leave. 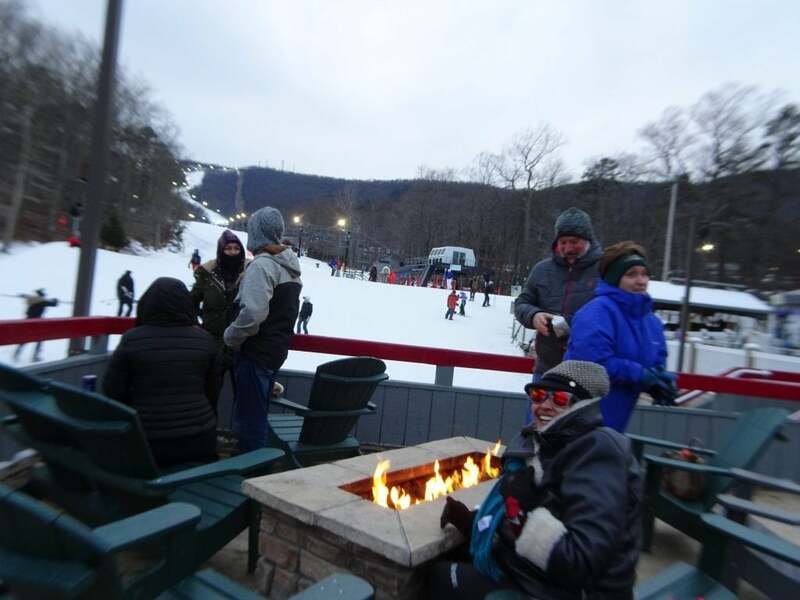 It was still afternoon, but the slope lights were flickering, already warming up for the night session. I felt a reporter’s responsibility to stay and investigate; I am conscientious in that way. That turned out to be a very good choice… I mean a very necessary act of selfless journalism. It’s impossible for me to choose favorites. 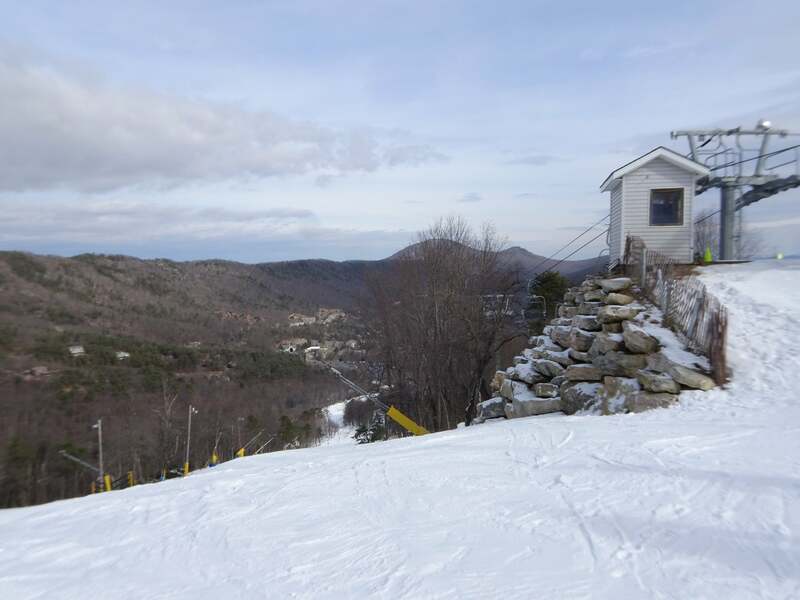 Every place I ski is my favorite if conditions are good and the people are having fun; but the top three runs at Massanutten are longer and steeper than most in the region. And, they are beautifully laid out. That is important, there are a lot of interesting ways down from the top that don’t just spill you straight down the fall line. Lifts #5 and # 6 rise up from the extensive easier terrain around the base, and except when breaking for sustenance that is where I stayed. Mack Attack, Para Dice and Diamond Jim kept me happy all day and into the night. For example, lift #6 serves over 800 vertical feet and is a 7-minute ride, surprisingly fast for a fixed grip. 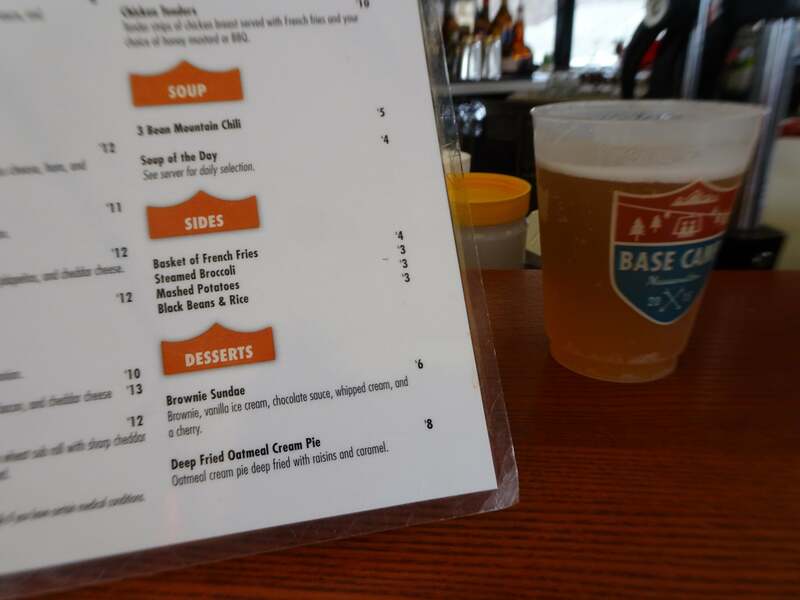 Oh, and speaking of sustenance, the Base Camp has great food options at real world prices. A good IPA and bowl of chili for ten bucks is not something you find on most days skiing. Not to dive too deep into minutia, but might I say a word or two about parking and how important parking can be? I often have to slog my way uphill from a packed parking lot, and I still have horrible flashbacks about these treks with small children. 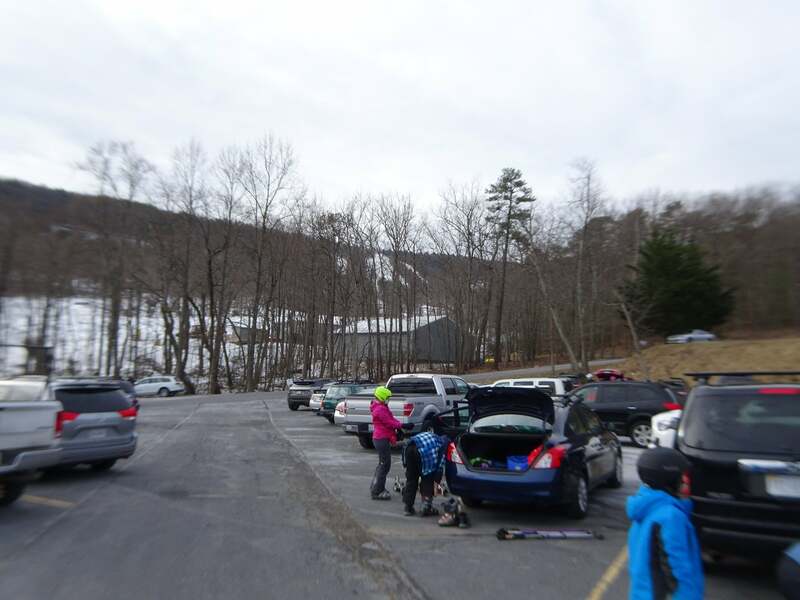 So, it was a treat to find ample parking at Massanutten, even midway into a Sunday morning, that actually encourages you to ski. The public lots are adjacent to the slope and not an endless march or shuttle up from some lower purgatory. Park, boot up and ski a short mellow run to the base area where you can grab your ticket and some coffee. I’d like to add that while my interest stops and starts with skiing. Actually, in this case I also geeked out on the geography too. 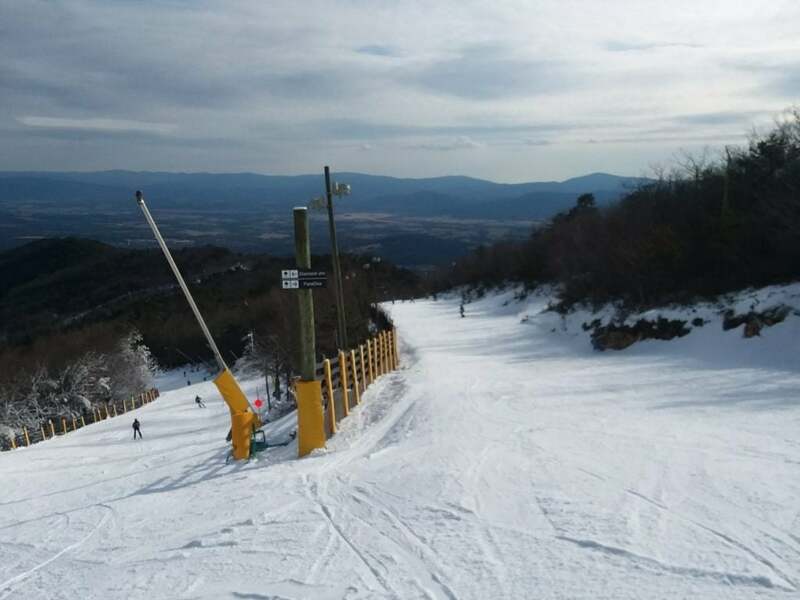 But Massanutten has a lot of other options minutes from the lifts. 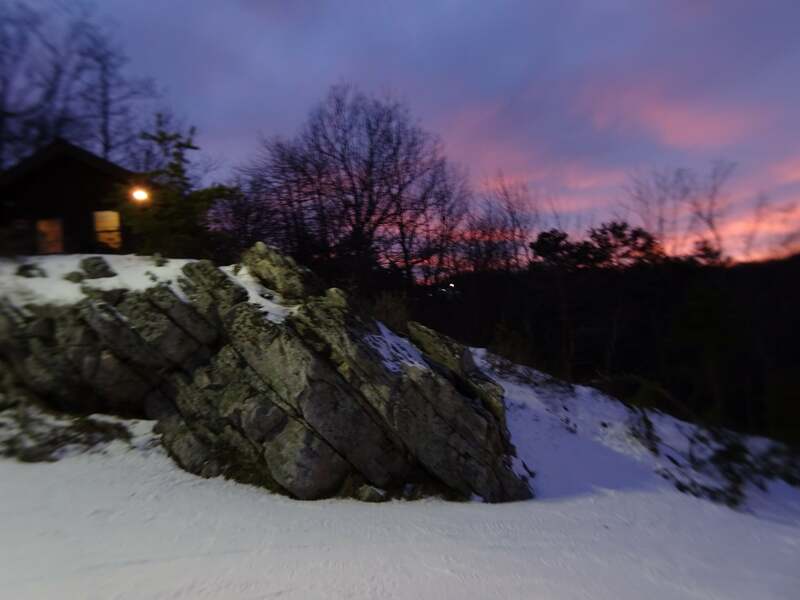 Spectacular hikes, including the 50-mile Massanutten Trail, golf, a water park that frequently is featured in best-of lists, and world cup mountain biking trails. I do not intend to take up mountain biking, I already have plenty of scars and metal parts in my shoulders, but I was fascinated by their layout, snaking around and beneath the higher lifts. So Southeast skiers push your boundaries a little further north and enjoy what Massanutten has to offer. I’ll be back soon. Previous articleHappy Groundhog Day, everyone.